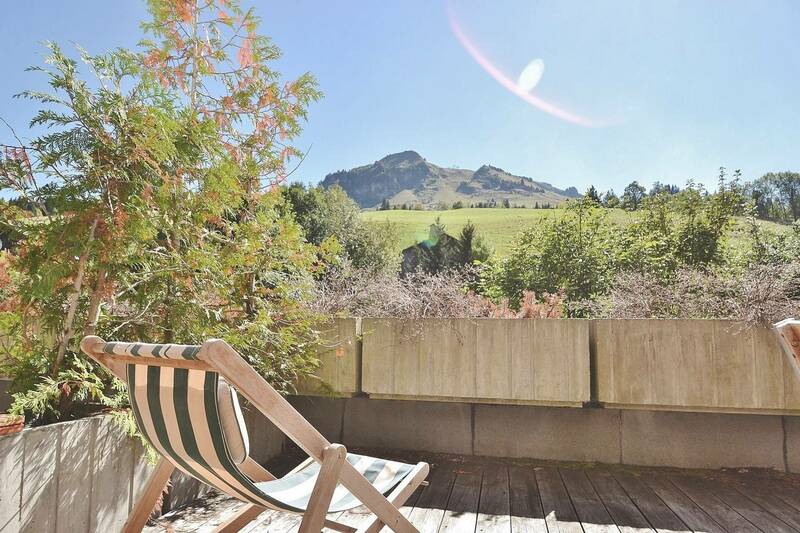 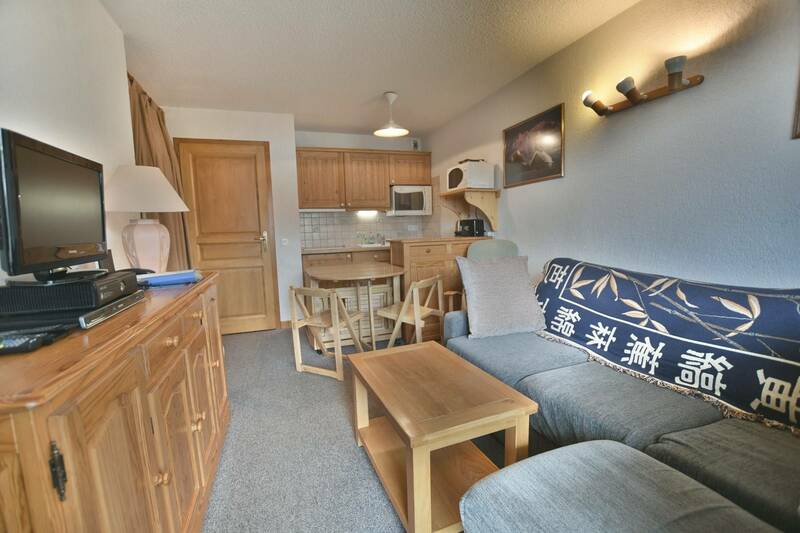 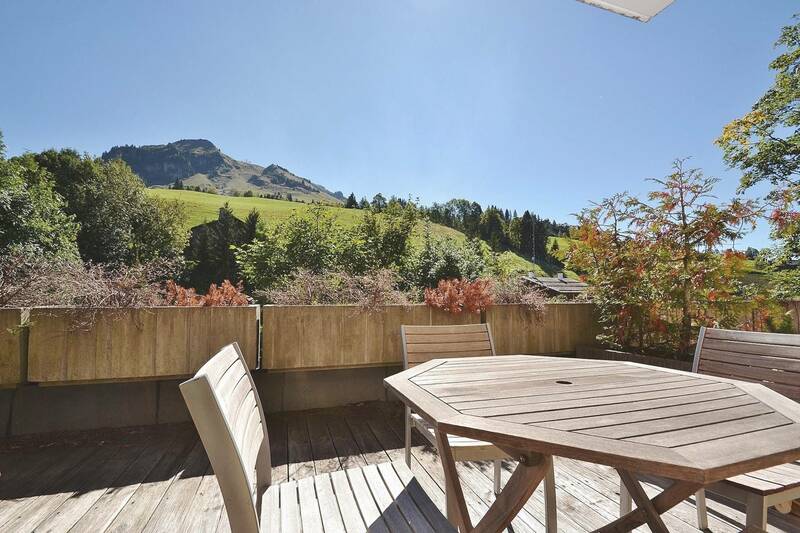 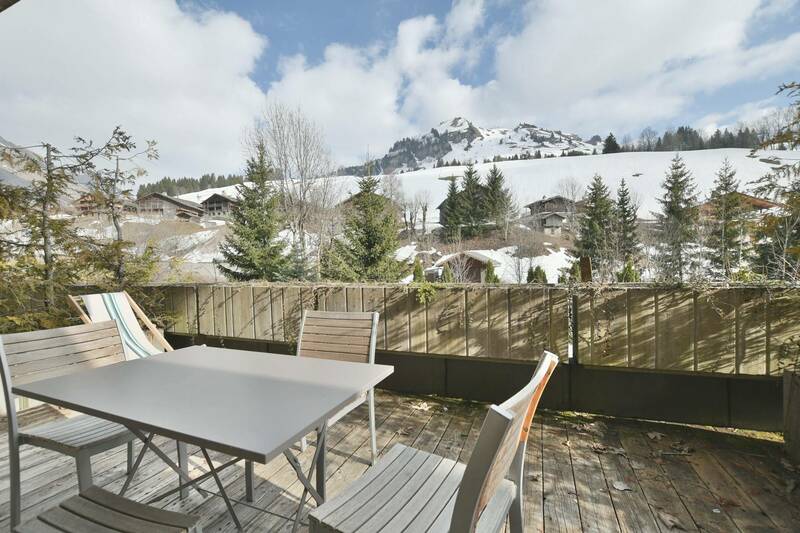 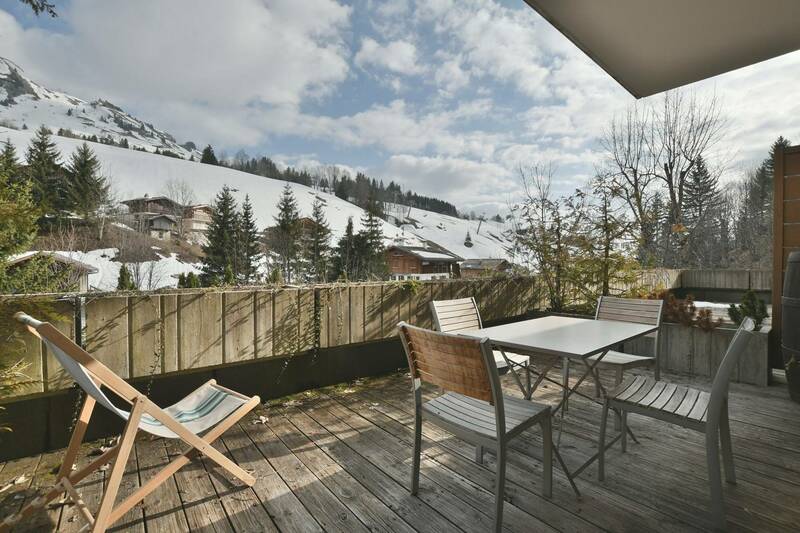 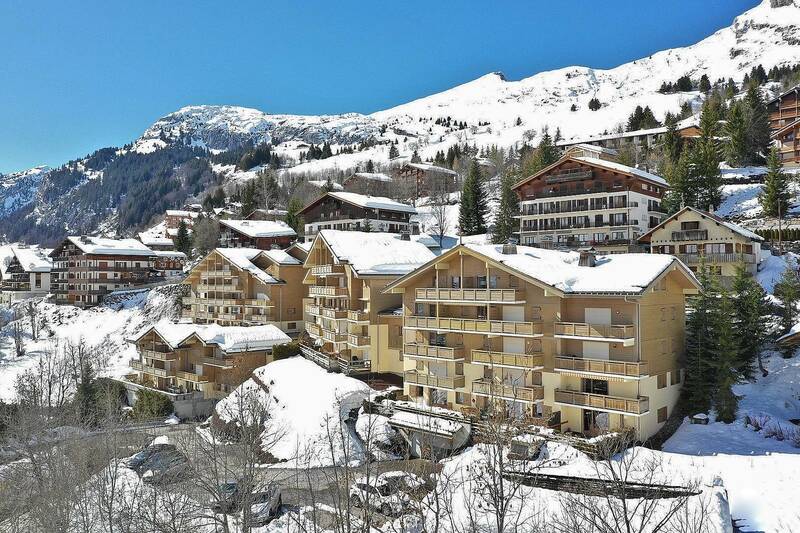 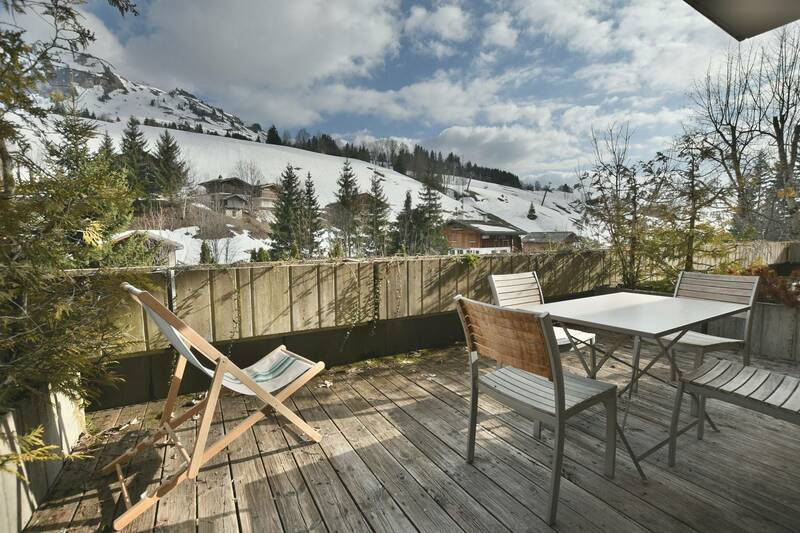 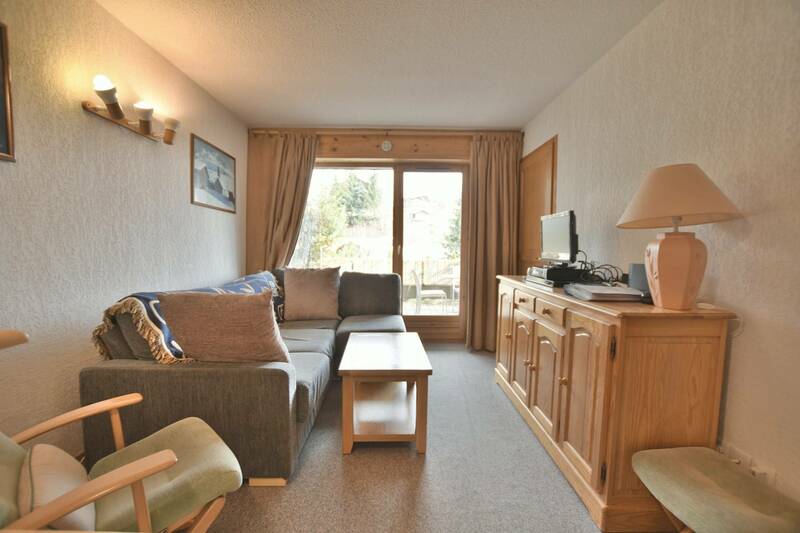 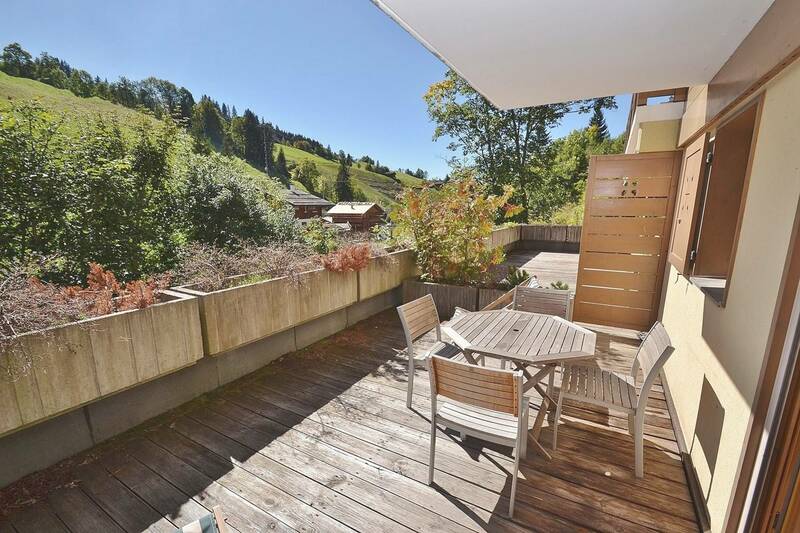 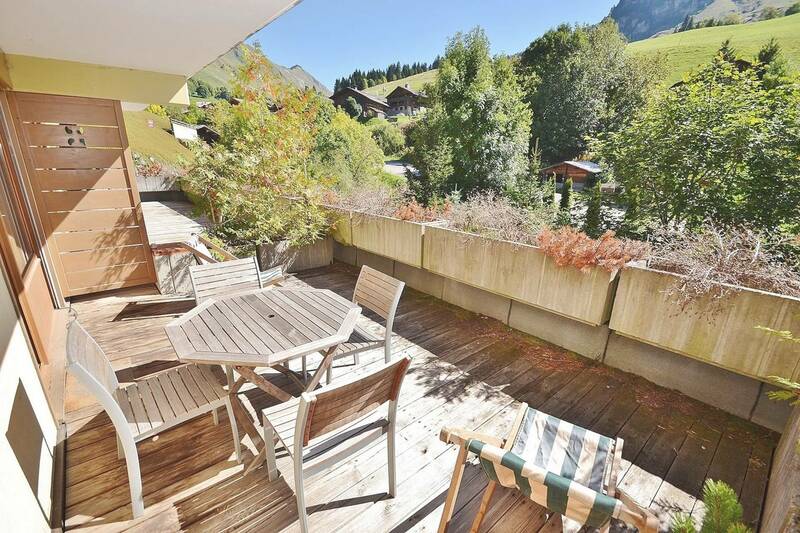 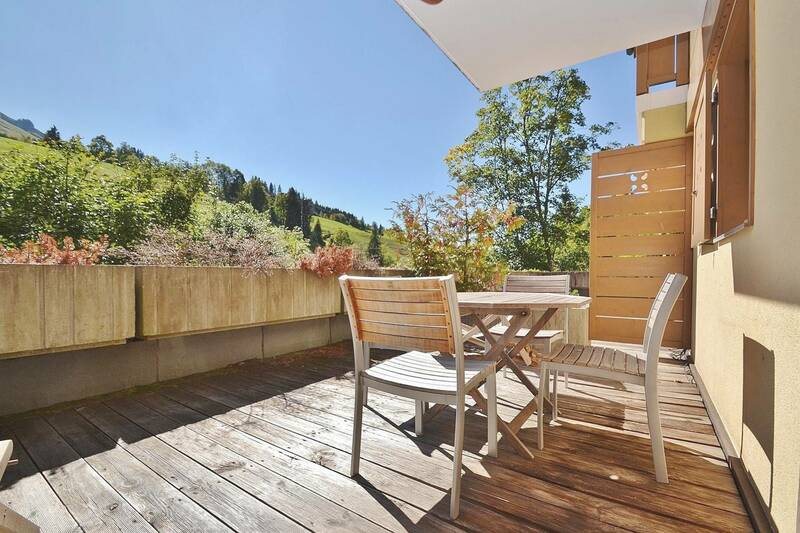 Located in a stylish chalet-style building in the Chinaillon area of the Grand Bornand resort, this compact south-facing apartment of 44m² has a large terrace looking onto the mountains and the ski slopes which are just across the road with the Chatelet chairlift (open Summer and Winter) only about 150m away. 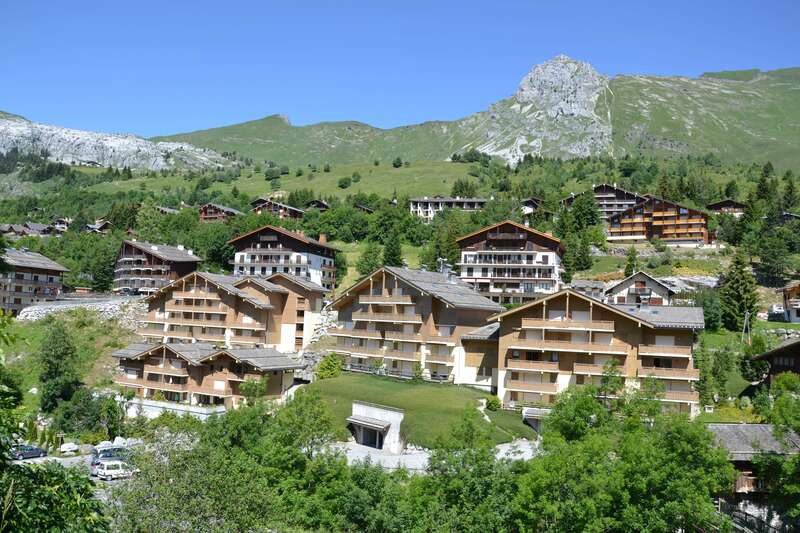 It is also just off the main street with its shops and restaurants, ideal for the morning baguette runs! 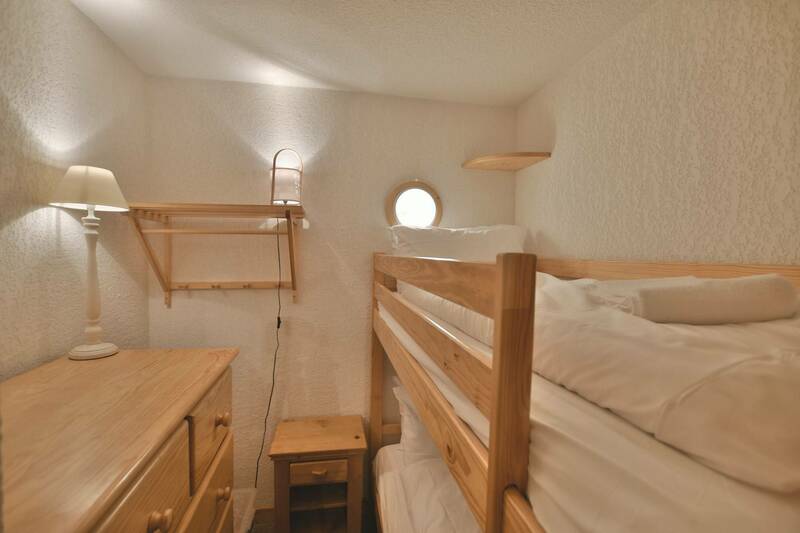 The apartment has one double bedroom with a curtained off set of bunk beds just off from the main living room. 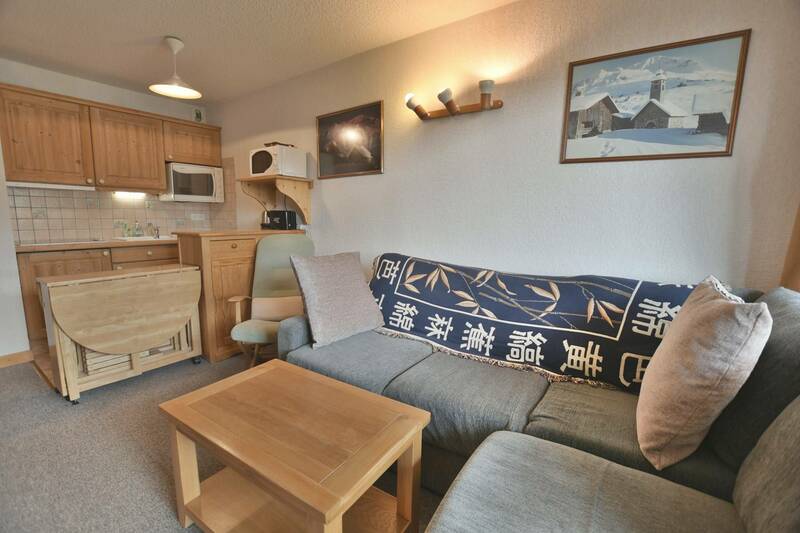 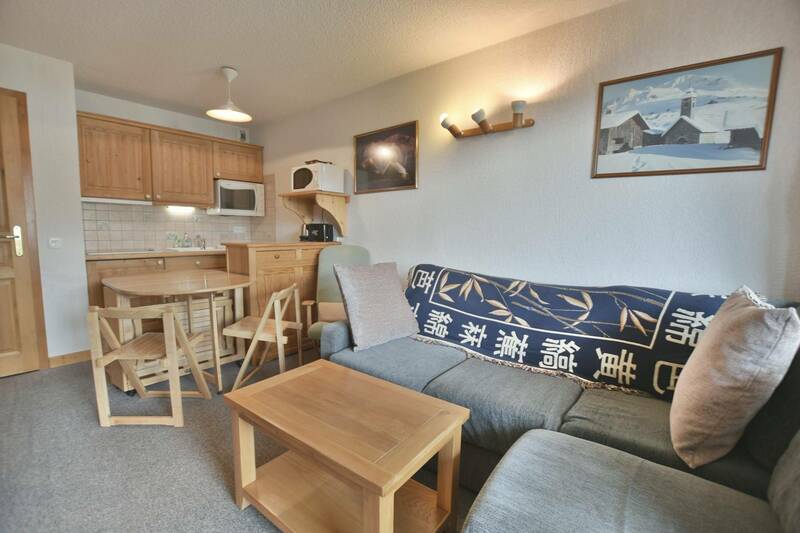 There is a bath/shower room with basin and heated towel rail, and a separate toilet. 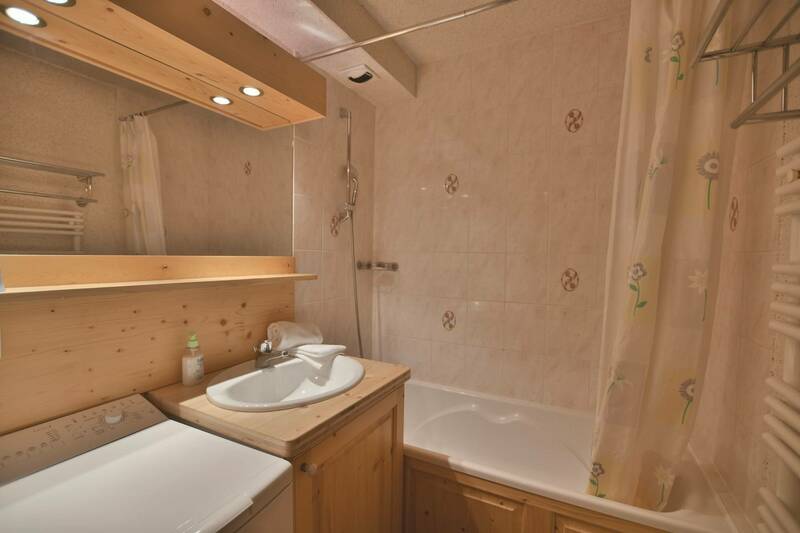 A washing machine is situated in the bathroom. 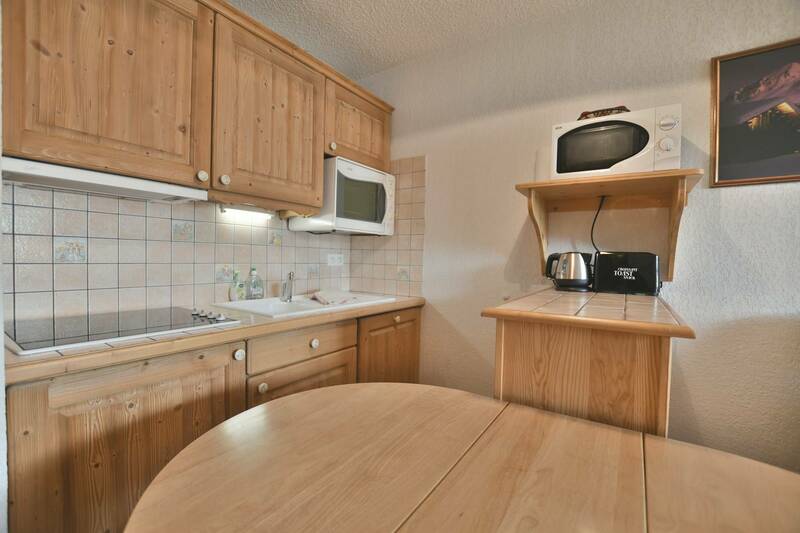 The kitchen is fully fitted with ceramic hob, extractor, rotisserie oven, microwave oven, dishwasher and fridge. 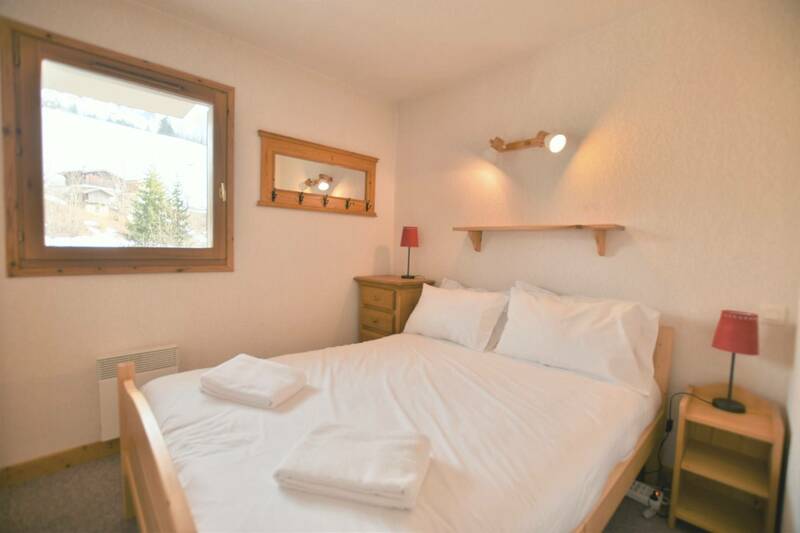 Cooking utensils, ample sets of glass, crockery and cutlery, and additional kitchen equipment including coffee maker, kettle, toaster and Raclette machine are provided. 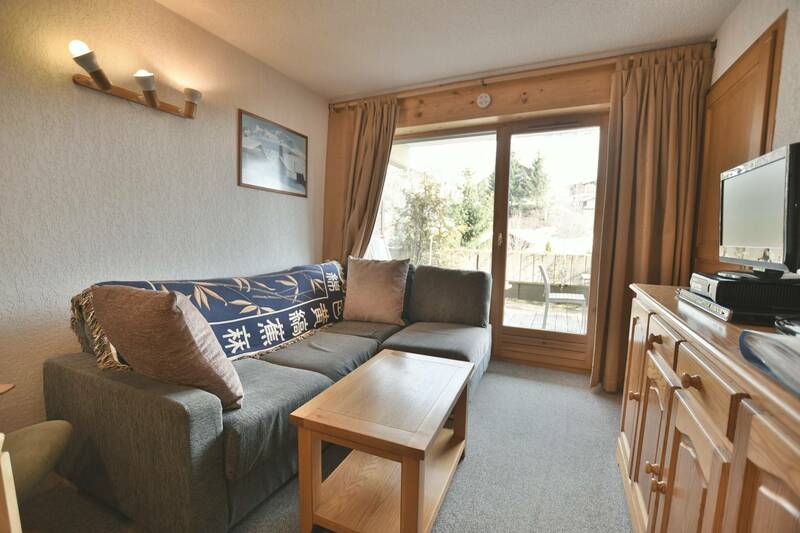 The fold out table seats four and there are sofas for four in the sitting area which opens onto the sizeable south-facing terrace with table and chairs. 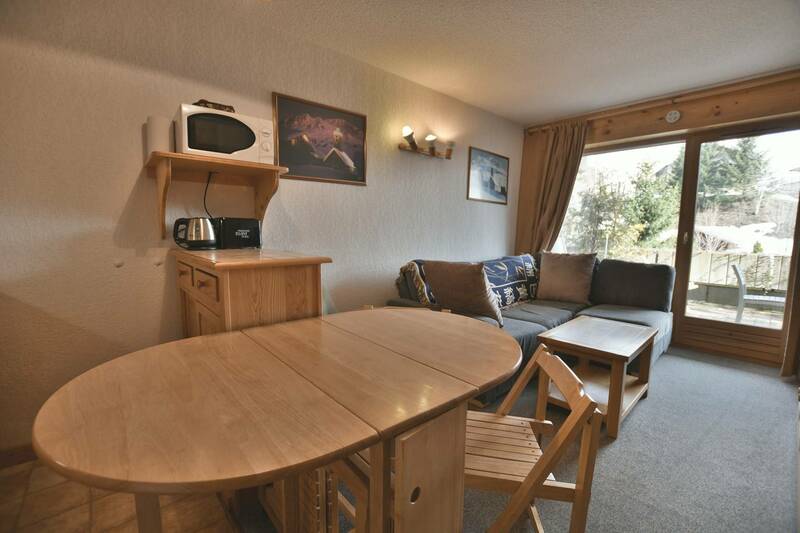 Free wifi is available, and there is a TV and DVD player with DVD library and books. 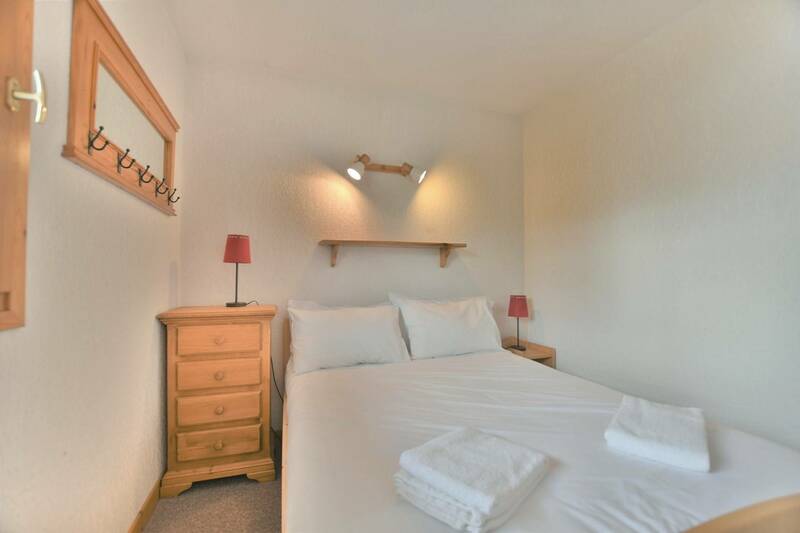 The apartment is next door to apartment C1 that we also manage and can therefore be used to accommodate larger parties.